书籍简介: What happens when a confessed \\\\\\\\\\\\\\\\\\\\\\\\\\\\\\\\\\\\\\\\\\\\\\\\\\\\\\\\\\\\\\\\\\\\\\\\\\\\\\\\\\\\\\\\"Young Alpha Male\\\\\\\\\\\\\\\\\\\\\\\\\\\\\\\\\\\\\\\\\\\\\\\\\\\\\\\\\\\\\\\\\\\\\\\\\\\\\\\\\\\\\\\\" decides to break the code of silence; give serious, ambitious women the scoop on how men view women in business; and explain everything women need to know about dealing with men professionally? Everybody wins! In What Men Don't Tell Women about Business, dynamic young CEO and consultant Christopher Flett invites you into the cigar club for a frank and revealing conversation about what it takes for a woman to reach the top in the business world. His comments may surprise, shock, even offend you―but they will also prepare you for success in an environment still dominated by men. You'll learn what drives men to succeed, what women do naturally that undermines their careers, why banding together with other women is a losing strategy, and how to show (or hide) emotion at work. You'll also find out how to gain and maintain the trust of male colleagues, overcome poor treatment or offensive comments, and make sure you get credit for your work without embarrassing or alienating the man (probably your boss) who's trying to take it all for himself. 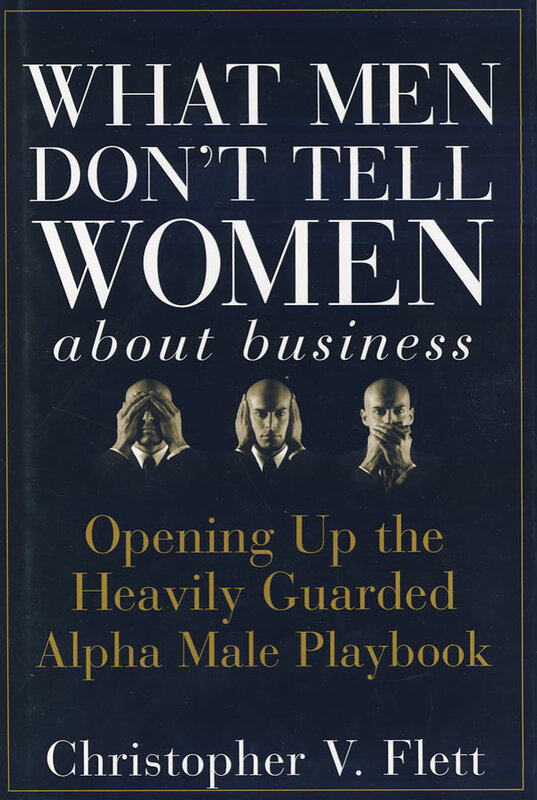 Most importantly, you'll discover the one thing you can do, which all Alpha Males understand and many women don't, that will guarantee you the senior management position, partnership, or substantial pay raise that always seems to pass you by. Among Flett's more provocative pronouncements are: men put the glass ceiling in place, but women keep it there; Alpha Males do fear women in business, but not strong women; women shouldn't petition for equality, they should assume control; women have a tendency to give up their power in the workplace; bruising a man's ego, even slightly, could ruin your career; and finally, though business isn't personal, your personal reputation means everything. Perhaps the most surprising of Flett's revelations is that the modern business paradigm is far more amenable to female leadership than male. Women tend to be process-oriented consensus builders, while Alpha Males focus on immediate goals, performance, and distinguishing themselves from the crowd. Too many women, however, sabotage their careers by not knowing how to deal with dominant men professionally. If you feel that your ideas are being ignored, your hard work is not appreciated, and less talented and dedicated people are being promoted ahead of you, read What Men Don't Tell Women about Business and discover the missing link between your current career and stunning success.